^ Newman, Saul J. (23 March 2019). "End government support for pro-alcohol research". The Lancet. 393 (10177): 1200. doi:10.1016/S0140-6736(18)32412-7. ISSN 0140-6736. ^ CSIRO. 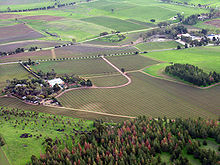 "Wine Australia and CSIRO sign $37 million investment agreement". www.csiro.au. Retrieved 23 March 2019.